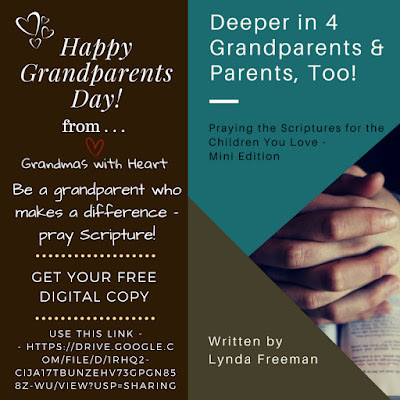 September 9th is National Grandparents' Day - it is the perfect day to focus upon encouraging the grandparents to do the most important thing they are able to do as grandparents - pray for their grandchildren. 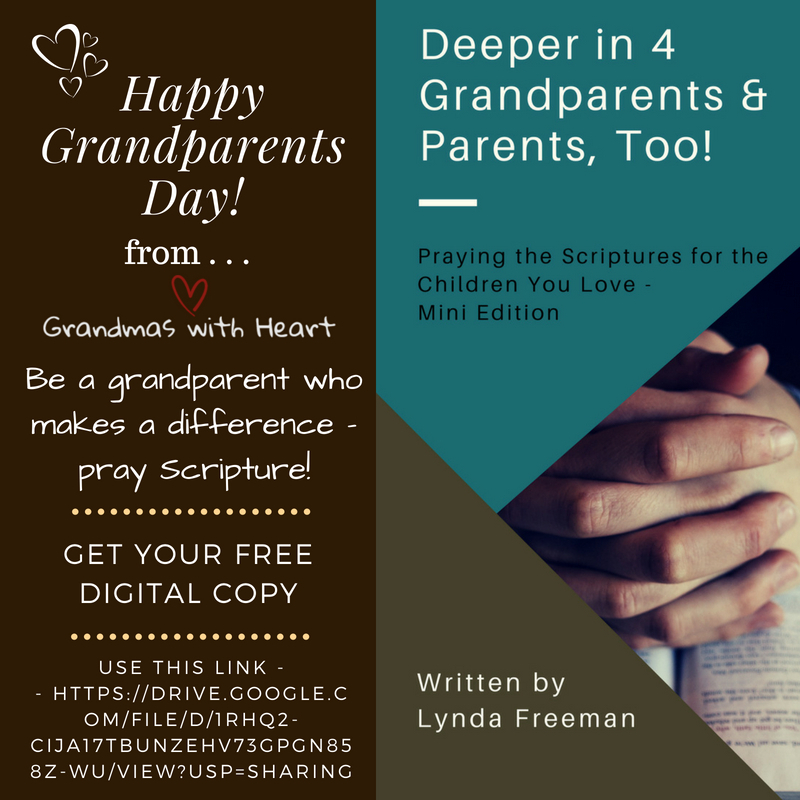 And, since any time is a great time to encourage parents to do the same, Grandmas with Heart is delighted to give everyone a gift - a Free digital copy of Deeper In 4 Grandparents & Parents, Too - Mini Edition. You are able to download your free copy at this link. Feel free to share the link with the grandparents and parents you know.